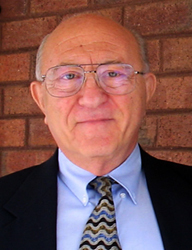 During the 2009 school year tenth-grade students from Northrop High School in Fort Wayne, Indiana asked Joseph Kempler the following question regarding his personal experiences during the Holocaust. Question : How did going through the holocaust change your views on life, and has it affected your life now? do you believe you would be different if this event had not happened? The only information that I had about Jehovah’s Witnesses was that they could be set free simply by signing a form renouncing their religion. That concept was totally incredible to me. 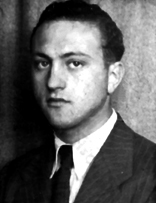 Joseph was born in 1928 in Krakow, Poland, to a devout Jewish family. He was transferred to Plaszow concentration camp in July 1943 and then to the Zakopane, Mauthausen, and Melk camps. In Melk, Joseph first heard of Jehovah’s Witnesses. He was liberated in Ebensee on May 6, 1945, weighing 60 pounds and near death. “I survived by focusing on the immediate present to the exclusion of everything and everybody else.” His entire family had perished with the exception of his sister, who was hidden by a family of Jehovah’s Witnesses in Poland. After more than two years in a displaced persons camp, he emigrated to New York in November 1947.